I’ve combined the cylinder studs and the valve adjusters on one page because they are practically the same thing. 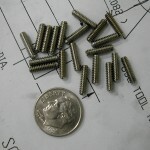 I bought one box of #4-40×3/4″ 18-8 stainless set screws from McMaster-Carr (P/N 92311A113). 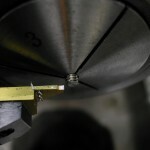 For the cylinder studs, the socket end was cut off and rounded. 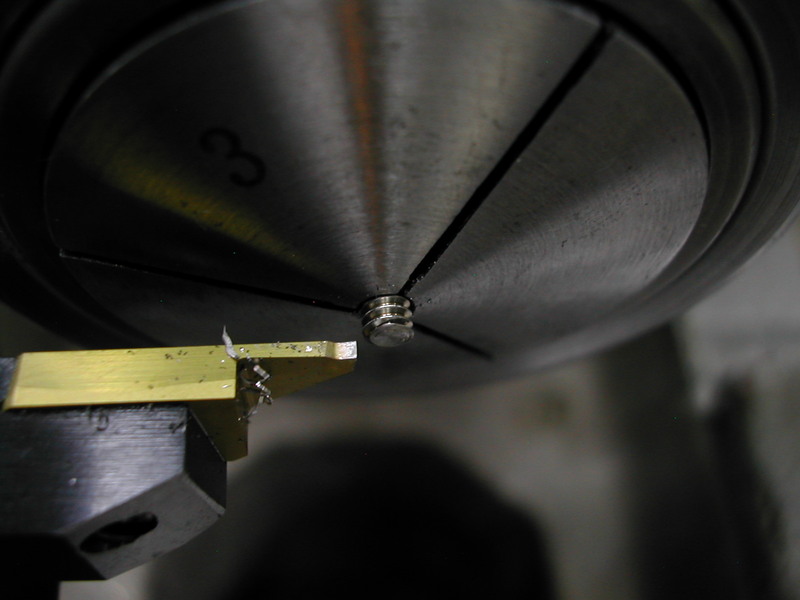 For the valve adjusters, the cup end was cut off and rounded. 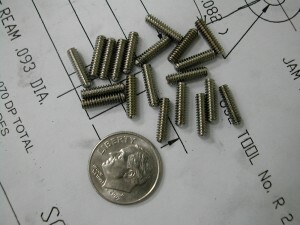 First step was to cut the screws to length. 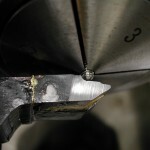 These stainless screws are fairly weak, so you need to work close to the chuck. 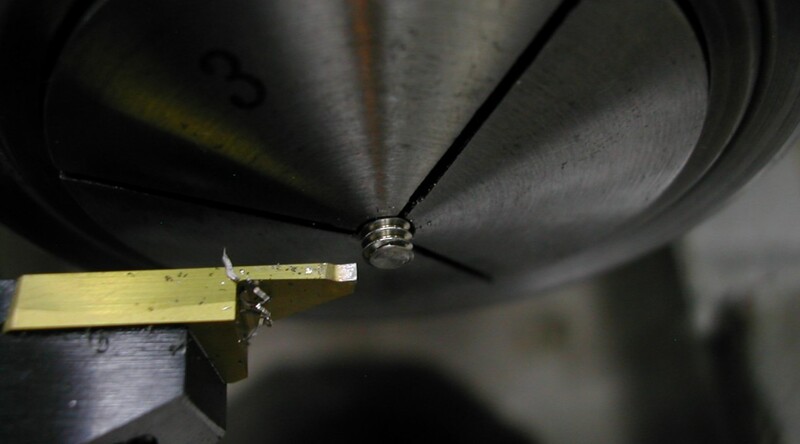 A 3mm collet was pretty close to the 0.112″ basic diameter of the #4 screw. I could not find a callout for the length of the valve adjusters anywhere, so I went with 3/8″ based on my CAD model. 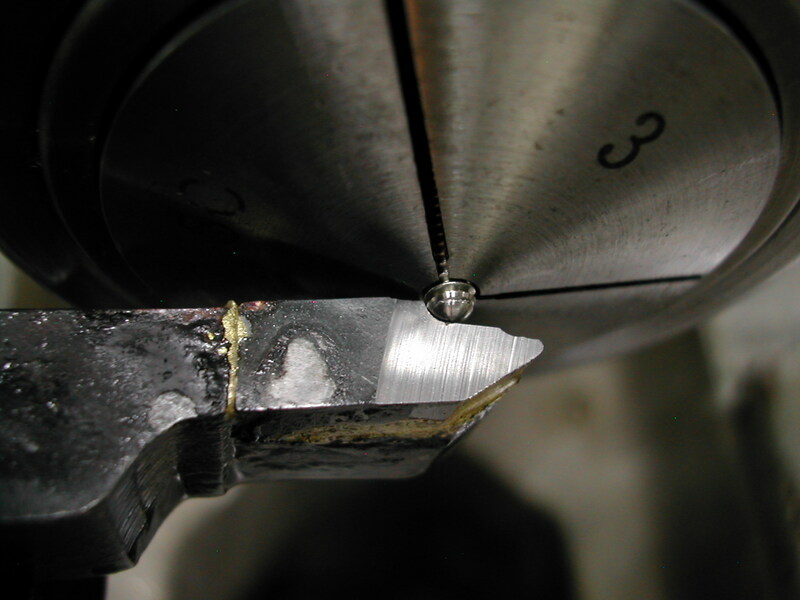 A brazed carbide tool was ground with a 0.112″ radius and fed in from the end to generate the half sphere. 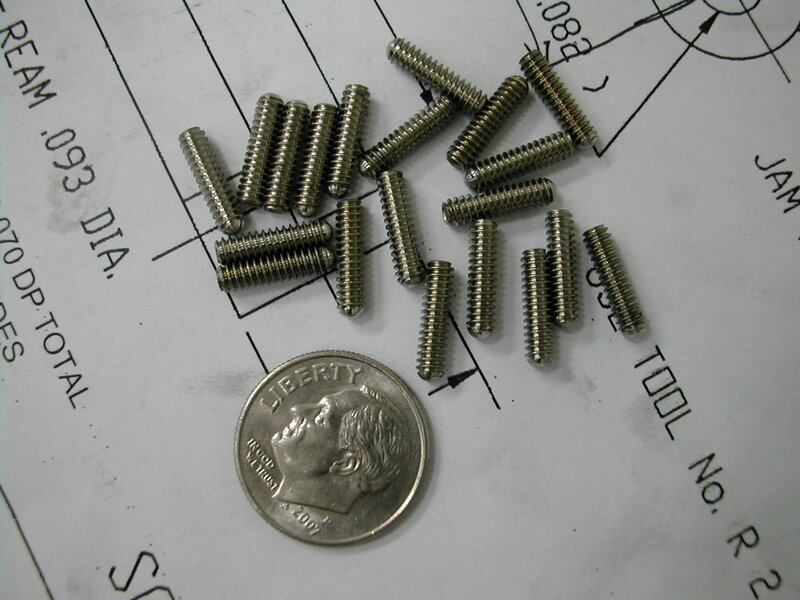 Here are a few of the rounded screws.